Kim Nunemaker is originally from central Illinois but has lived in Woodstock with her husband and two sons for over 14 years. She has a bachelor’s degree in History and Master’s course work in History and Higher Education. Her favorite things in the office are getting to know and interacting with our patients, as well as getting regular adjustments herself. 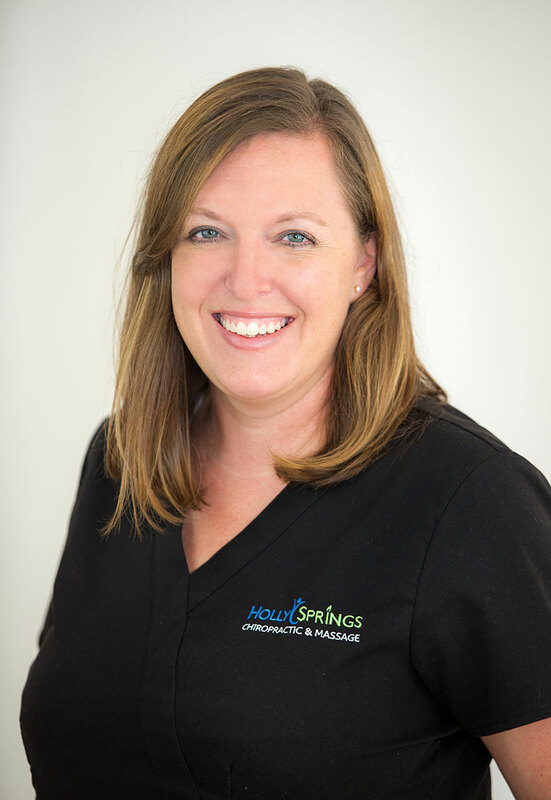 In addition to managing the Holly Springs Chiropractic office since 2014, she and her family are also a foster family in Cherokee County, having taken an additional 56 children into their home in the last 7 years.